Available to the public for the first time, this historic wedding venue only 10 minutes from Smiths at Gretna Green. Bonshaw Tower is a beautiful, romantic, private venue for your special day. We also cater for marriage vow renewals and naming ceremonies. 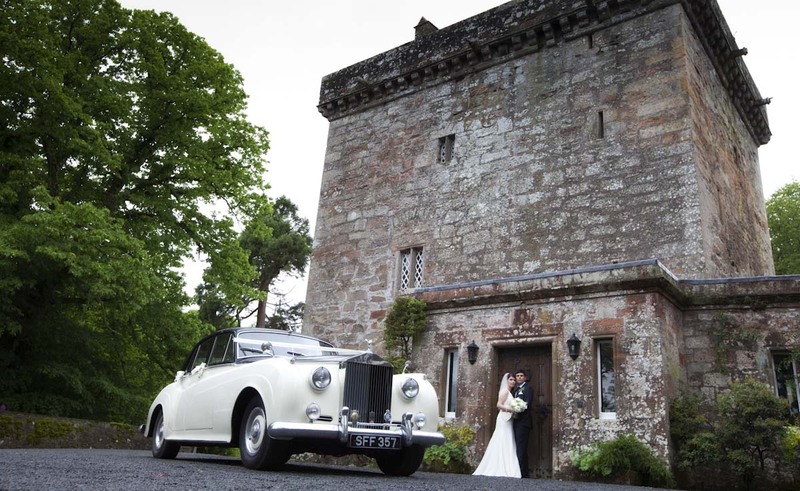 If you are searching for an historic venue in Dumfries and Galloway to host your wedding ceremony we would be delighted to hear from you. The venue is licensed to conduct wedding ceremonies and is suitable for small to medium-size wedding ceremonies. “We wanted to say a huge thank you for our wedding on Friday. It was absolutely perfect, and Bonshaw Tower was the most stunning venue, and just ideal for our small group. It made for a very intimate and special service. Set at the end of a half mile long medieval driveway in 20 acres of private estate, it has secluded, mature gardens and lawns surrounded by its own ancient woodland, waterfalls and river. All in all it oozes character, adds a unique element to YOUR special day. 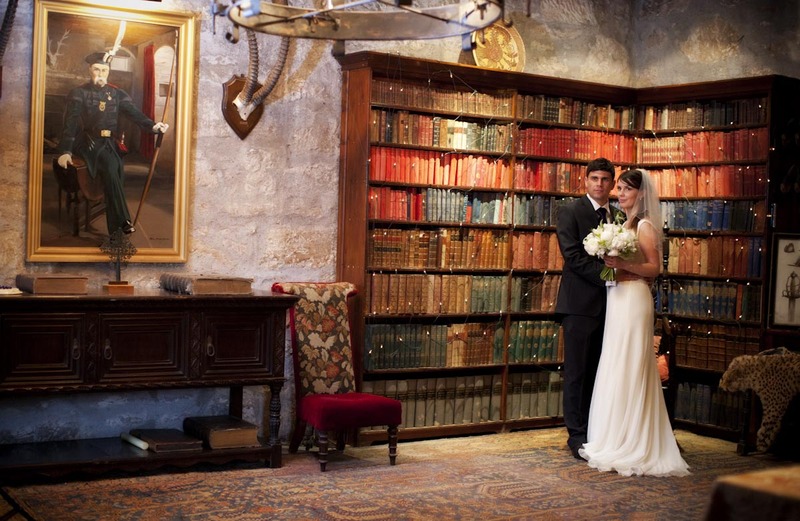 Couples and families can enjoy their ceremony in the Chief’s Room of the Tower, the barrel vault and a number of unique spots in the gardens. There is a tremendous variety of niche locations for wedding photos. Parties can take flowers from the garden when they are in bloom and we will provide petal confetti. 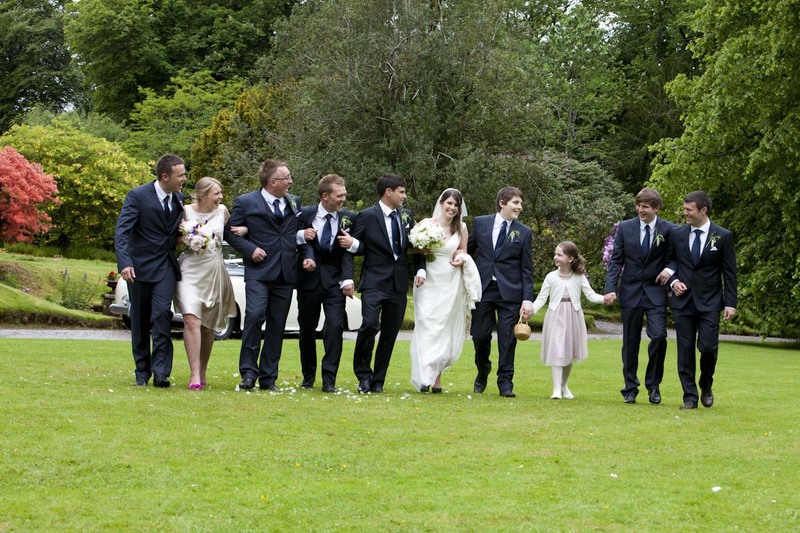 Please view our Spectacular Venue For Your Wedding Ceremony Gallery. Why not have a piper playing on the parapet to welcome your guests as you arrive and after the wedding? Enjoy an environmentally friendly, green wedding. Bonshaw Tower has its own micro hydro-electric generation system powered from the Caul Burn beside the Tower. The micro hydro-electric scheme provides enough power for ceremonies, the house and when is not being used is fed into the National Grid. The Tower is also heated entirely by a biomass boiler that burns logs from the estate and other local sources. All our waste is fully recycled. Please call us to discuss whether you would like a registrar or a local minister. Times can be adjusted to suit couples’ requirements, but generally take place between 1:00pm – 4:00pm. There is plenty of parking for cars and minibuses around the house. We will be delighted to provide more details on numbers for different locations on the estate. Alternatively, email Claire Irving – candcirving@outlook.com. Note: Whilst there is excellent disabled access to most of the Tower and gardens, disabled access to the Chief’s Room on the first floor is limited.